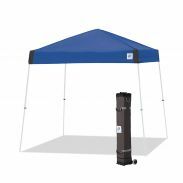 Standing out at any events, street fairs or swap meets is easier than ever with the E-Z UP® Vantage™ shelter. 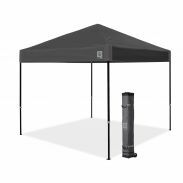 Upgraded with new cool grey components that combines style with extra strength and support for multiple uses makes this shelter especially enticing for recreational marketers. For extra attention, add full bleed, photo quality digital graphics to reinforce your message and leave a lasting professional impression! 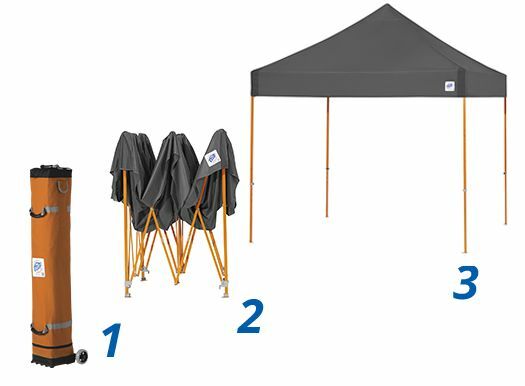 E-Z UP® Railskirts and ProFlag™ Accessories can be easily attached directly to the shelter frame for an upgraded instant visual impact. 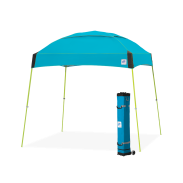 Value Pak Upgrade Available: Includes 4 Dura-Lon® Sidewalls to complete your shelter. 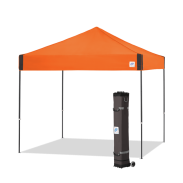 Compete, sell, promote or relax your way in cool style with the new Vantage™ Instant Shelter®. Available in 8 NEW vibrant colour combinations to separate you from the pack in any application. With a cross truss reinforcing inside and upgraded components throughout, the Vantage’s durability allows you to focus on the task at hand…or on nothing at all. And the all-new upgraded roller bag ensures transporting the Vantage Instant Shelter is E-Z, stable and secure. E-Z UP quality, innovation and style has you covered.